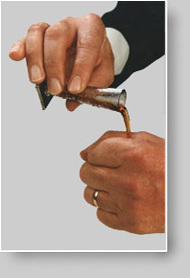 The performer pours a small glass of liquid into his closed fist. The liquid then vanishes completely! 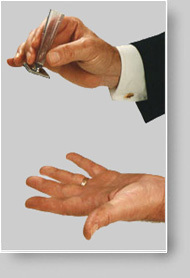 When the audience asks where the liquid went, the magician replies that it is in his pocket. He then removes a full glass of liquid from his pocket!